Self-driven cars and super-competent computers by Tony Stark's are becoming the reality of the world these days. Businesses these days, are focusing on providing their clients a complete digital experience. Moreover, it is not just limited to load times and page speeds. 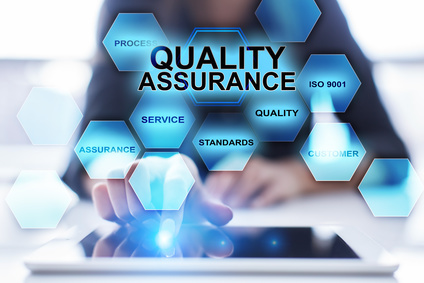 This is the reason why Quality Assurance Testing Services have become the preferred choice for all organizations. Assuring quality is a great responsibility for software testers, and they have been adopting multi-layered testing approach beyond the regular stress and load testing plans. This is the reason performance testing is one of the first steps taken before releasing any software or application. Let us discuss some performance testing best practices that go beyond the limits of performance testing and will prepare us to face broader challenges that cannot be addressed by just traditional testing. It does not matter that you are a proficient tester or a beginner, you can never really judge when the next performance issue might just pop up. Therefore, whenever an issue occurs, it is imperative to initiate with individual components instead of focusing on the complete module. Though it is time-consuming, it can save you a lot of money and efforts. You must start with a comprehensive test strategy to determine the type of tests you need to perform to make the application perfect. Performance testing needs a lot of preparation and planning before the actual execution. You can know how tests perform better by the typical user by understanding the interaction of the components and the expectation of the user from the system. Think time usually refers to as the time pause taken by a typical user while working on your application. Normally, this time occurs when a user takes a pause to view the information displaying on the screen when they shift from one section to the other. This time pause happens when a customer stops to verify the address or the details of the credit card. Load testing: This technique can determine the maximum operating capacity of an application. It helps in judging whether the current infrastructure is adequate to support the application, and the sustainability of the application in accordance with peak user load. Stress testing: This technique tests an application under extreme loads, so as to evaluate its ability to handle high traffic or data processing. Endurance testing: This method ensures the handling of a certain amount of stress over a long period. Spike testing: This helps in testing the application's responses to sudden large spikes produced by users. Volume testing: This technique helps to check the functionality and capacity of the application under varying database volumes. Scalability testing: The main aim of this process, is to check the effectiveness of the applications in scaling up, to support an upsurge in user load. The common thread that runs through these best practices is the need to devise new strategies to meet the testing demands that continues to grow bigger and faster. Organizations that meet the challenges ahead are certain to succeed.